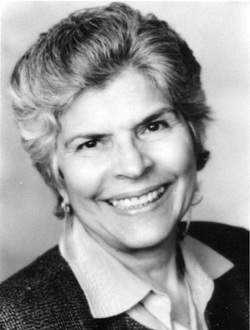 Dr. Helen Rodríguez Trías was born in New York City in 1929. She completed her medical training in Puerto Rico in 1960. During that time she became a student activist on such issues as freedom of speech and Puerto Rican independence. After graduation, she spent a number of years at the University Hospital in San Juan where she established the first center for the care of newborn babies in Puerto Rico. She subsequently moved back to New York to become the head of the Department of Pediatrics at Lincoln Hospital in the South Bronx. During her time in New York, Dr. Rodriguez-Trias became an advocate for reproductive rights of women and access to care for underserved populations. She was a founding member of the Women’s Caucus of the American Public Health Association (APHA) and subsequently became the first Latina to serve as APHA President. She also served as the medical director of the New York State Department of Health’s AIDS Institute. In 2011, President Bill Clinton presented her with the Presidential Citizen’s Medal, the second highest civilian award in the United States for her work on behalf of women, children, people with HIV/AIDS, and the poor. Dr. Rodriguez-Tria died of cancer in 2001.